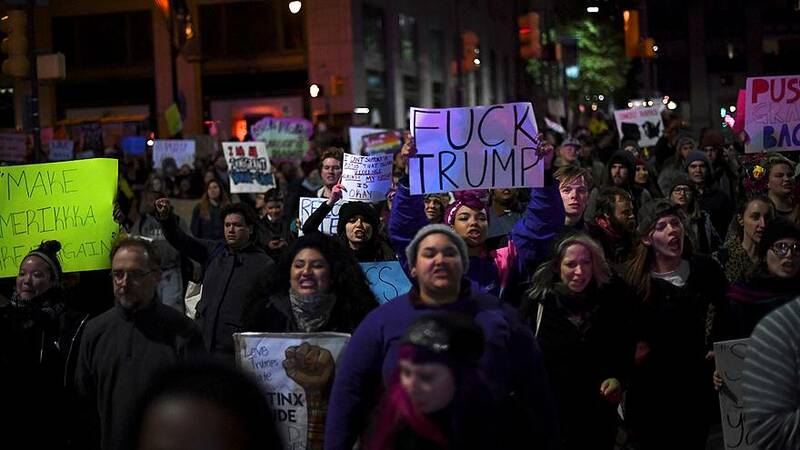 Anti-Donald Trump protesters have rallied in cities across the US for a third night, to voice their anger over his shock election win. No violence was reported on Friday night, following unrest and arrests in Portland and LA the night before. Meanwhile, Trump is laying the groundwork for his arrival at the White House in January. He is pulling together a transition team, including loyal advisers and three of his children. Trump has put Vice President-elect Mike Pence in charge, demoting Chris Christie. The team needs to prioritise policy changes and consider Cabinet picks. Trump promised to cut taxes, clamp down on immigration and repeal the so-called Obamacare during campaigning. But now he says he is open to keeping some parts of Obamacare.